From a layman’s perspective, Price action may seem like an indirect strategy without boundaries or proper steps. This is due to the fact, Price action is a methodological mindset and relies on trader’s intuitive analysis, instead of Lagging indicators and their useless signals. Price action trader is a master in chart reading. But for beginners, even experienced alike may feel little bit annoyed during the analytical process. My quest to solve the problem- which leads us to the purpose of this Article. Simplifying the Price action analysis for the sake of clarity and easy understanding of market behavior. How a Price action trader should start the analysis? How to keep it simple? A price action trader’s analysis may start with classical technical analysis, including trend lines and pull-backs, which are broken down further and supplemented with extra bar-by-bar analysis, sometimes including volume. 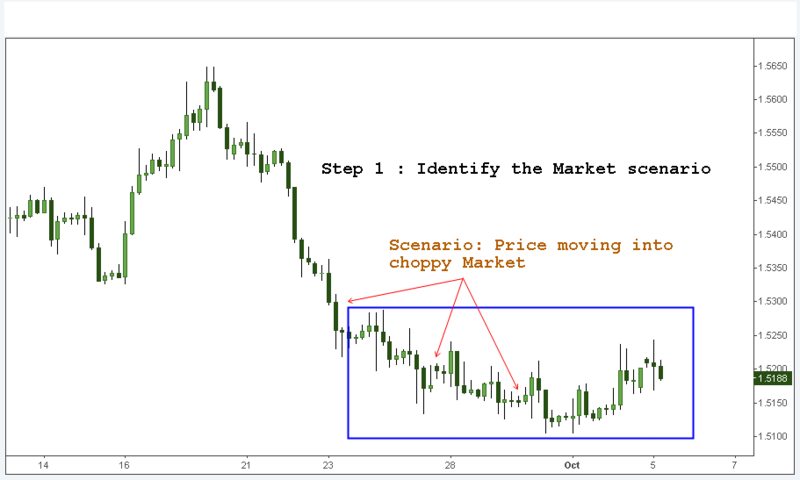 This observed price action gives the trader clues about the current and likely future behavior of other market participants. The trader can explain why a particular pattern is predictive, in terms of bulls (buyers in the market), bears (sellers), the crowd mentality of other traders, change in volume and other factors. A good knowledge of the market’s make-up is required. The resulting picture that a trader builds up will not only seek to predict market direction, but also speed of movement, duration and intensity, all of which is based on the trader’s assessment and prediction of the actions and reactions of other market participants. Price action patterns occur with every bar and the trader watches for multiple patterns to coincide or occur in a particular order, creating a setups’ which results in a decision making to buy or sell. Individual traders can have widely varying preferences for the type of setup that they concentrate on in their trading. 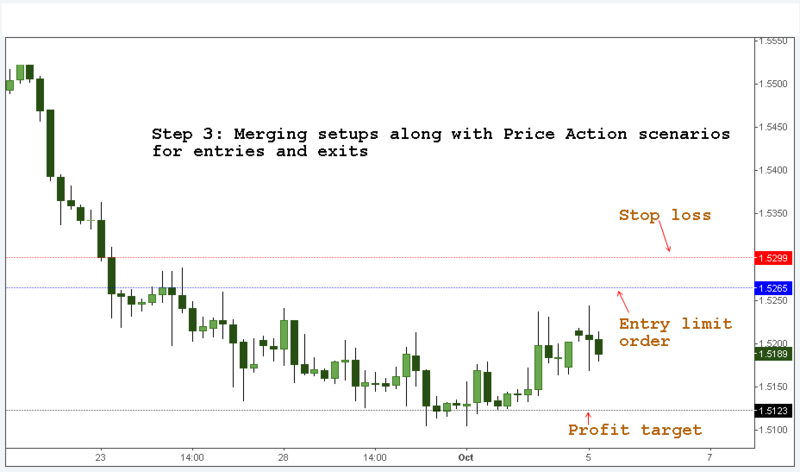 How Price action traders initiate their Entries and Exits? The price action trader will use setups to determine entries and exits for positions. Each setup has its optimal entry point. Some traders also use price action patterns to exit instead of entries, simply entering at one setup and then exiting the whole position on the appearance of a negative setup is also a best option. Alternatively, the trader might simply exit instead at a profit target of a specific cash amount or at a predetermined level of loss. This style of exit is often based on the previous support and resistance levels of the chart. A more experienced trader will have their own well-defined entry and exit criteria, built from experience. 1) Identify a scenario: Like a stock price getting into a bull/bear phase, channel range, breakout, etc. 2) Within the scenario, identify the trading opportunities: via Patterns and observation. 3) Merging the setups along with scenarios to create entry and exit. Advantages of this Simplification Process. This offers flexibility to traders, applicability to multiple asset classes, easy use with any assets with liquidity based on past data. Most importantly, the traders feel in-charge, as the step by step analytics allows them to decide on their actions, instead of blindly following a set of complex reasoning. Remember, when we analyse the scenarios or context in which patterns appear it adds another probabilistic edge in Price action trader’s toolkit.